Technical losses in power system are caused by the physical properties of the components of the power system. The most obvious example is the power dissipated in transmission lines and transformers due to internal electrical resistance. Technical losses are naturally occurring losses (caused by action internal to the power system) and consist mainly of power dissipation in electrical system component such as transmission lines, power transformers, measurement system, etc.Technical losses are possible to compute and control, provided the power system in question consists of known quantities of loads. Technical losses occur during transmission and distribution and involve substation, transformer, and line related losses. Technical losses are transmission and distribution system which are caused due to shortfalls in technical aspects are termed as technical losses. These losses have a major indirect effect of the loss of investment in the system. Energy dissipation in conductors and types of equipment used in all parts of transmission and distribution causes the technical losses. Technical losses normally account for the range of 20% to 30% of total T & D losses. When load quantities of the power system under analysis are known technical losses cannot be calculated but also controlled. Cunits represents the unit cost of electricity. Cmaint represents the maintenance and additional operational costs. These losses remain fixed despite amounts of current following in the system. It occurs as long as transformer remains energized. Fixed technical losses in the distribution system range between 25% to35%. Losses due to connected measuring instruments. 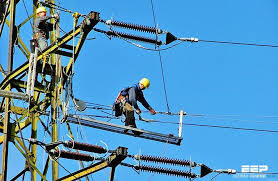 Electrical energy distributed regulates the variable technical losses. To be specific, these losses vary in proportion to the square of the current. 65% to 75% of losses in the distribution system are variable technical losses.